Okay, not everybody. 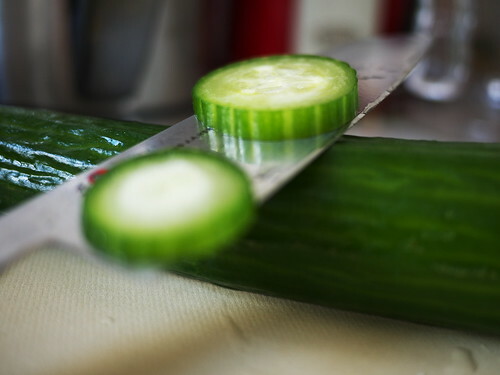 I can’t imagine this cucumber is such a big fan of the knife in the picture. After checking out a few knife review sites (I was searching for some critical opinion on the Henckels Miyabi 5000 S series, one of which I had just purchased, which critical opinion told me was a poor choice) I discovered that knife photographers love to pair their subjects with the blade laying crosswise atop its vegetable victim. So it looks as if I have a better knack for photographing knives than I do for buying them.